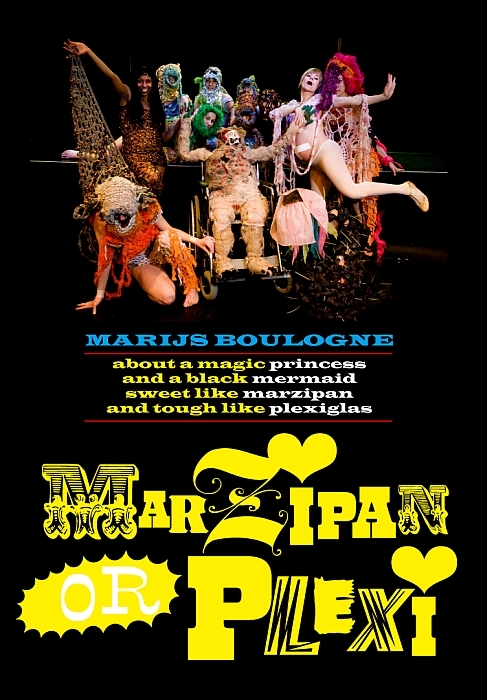 The text Marzipan or Plexi by Marijs Boulogne was created with the support of a grant by the Flemish Fund for Literature. The performance process of developing the English language version of Marzipan or Plexi started in 2008 at the request of Brut in Vienna, and was further developed with the aid of the Siemens Arts Program in the Kaaistudio’s in Brussels, in Antwerp (Zuidpool and Scheld’apen) and Mechelen (kc nOna). 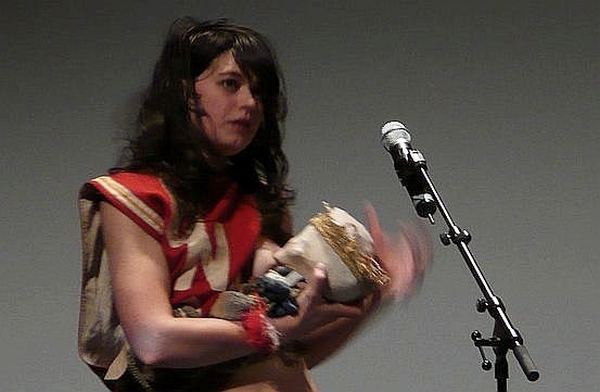 After a five-day workshop in Ljubljana in March 2009, the work was presented in Ljubljana (Stara mestna elektrarna venue) and at the Gravity Festival in Vienna’s Tanzquartier. 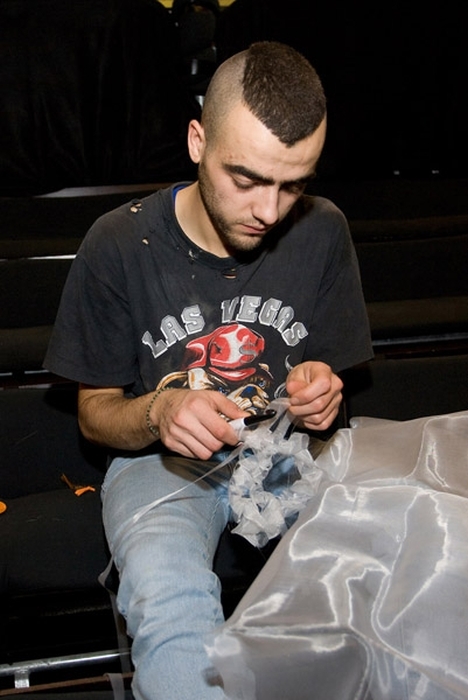 In 2010, Marsepein of Plexi, the Dutch language performance adaptation premiered in Brussels, Mechelen and Hassels (Belgium). 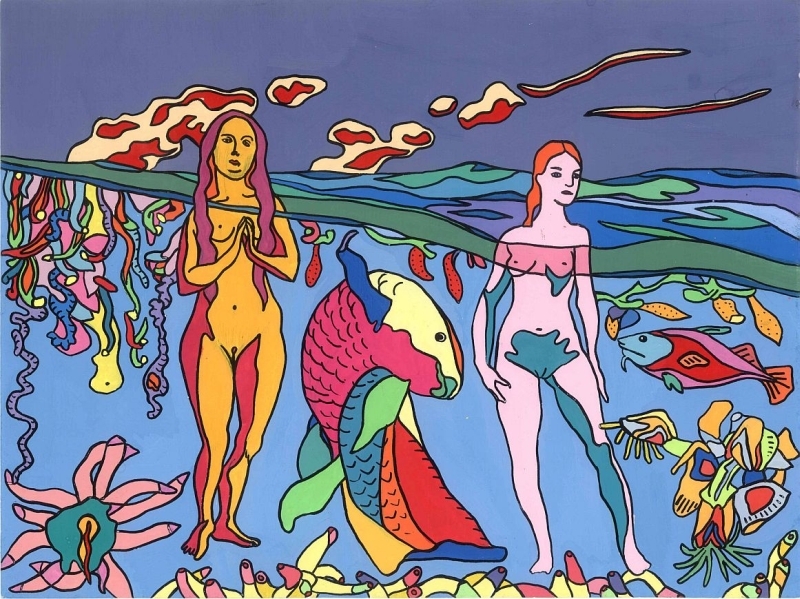 The fairy tale that Mazipan and Plexi narrate and sing together in an almost childlike, playful manner narrates about ‘hunger’: desire, (female) ecstasy; symbiosis and sexuality.